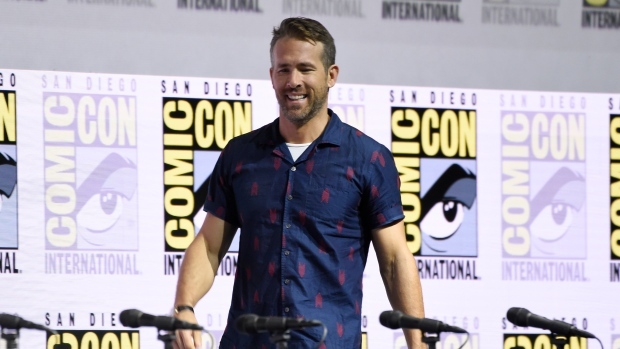 SAN DIEGO -- Ryan Reynolds has made a triumphant return to San Diego Comic-Con Saturday to promote the release of a "Deadpool 2" extended cut. Speaking to a packed Hall H audience, Reynolds said that the first "Deadpool" was made because of the people in the room. The enthusiasm around footage shown at the comic book convention in 2014 convinced the studio to make it. The second movie, Reynolds deadpanned, was made because of "corporate greed and a splash of destiny." The two films have made over $1.5 billion worldwide. The "Deadpool 2: Super Duper Cut" features alternate jokes, extended and deleted scenes. Reynolds said that they shot so many alternate versions of every joke that they could basically release a different film. "Deadpool 2" will be available on blu-ray on Aug. 21.